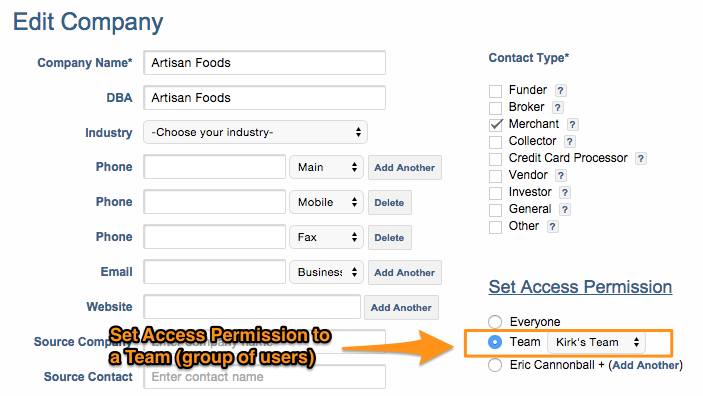 MCA Suite allows you to set up "Teams" to help better manage your access permission and security at the "Contact" and "Deal" level. To set up Teams, go to the ADMIN > USER ADMIN > TEAM page. From this page, you can add, change or remove existing teams. To add a team, click on the "ADD" button on the page which will bring you to the "Create Team" screen where you are required to enter a "Team Name." Once you've created a Team, you will be taken to a screen to add Team Members. To select multiple team members, hold down the CTRL (PC) or Command (Mac) key. 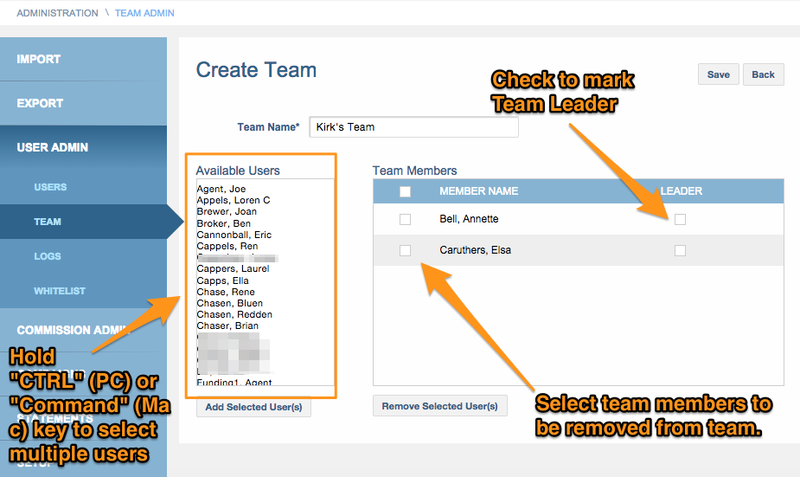 Once you have selected the team members, click on the "Assign Selected User" button to add Team Members. You can also denote one of the users you have added to the team as the Team Leader. It does not change the user's role to a "Team Leader." Team leaders of teams will see all contacts and deals for all team members despite the permission setting of the contact or deal. Example: Team A has two members: user John and user Jack, both are “agent” user roles. John is the “team leader” of the team. John will see everything Jack has access to. 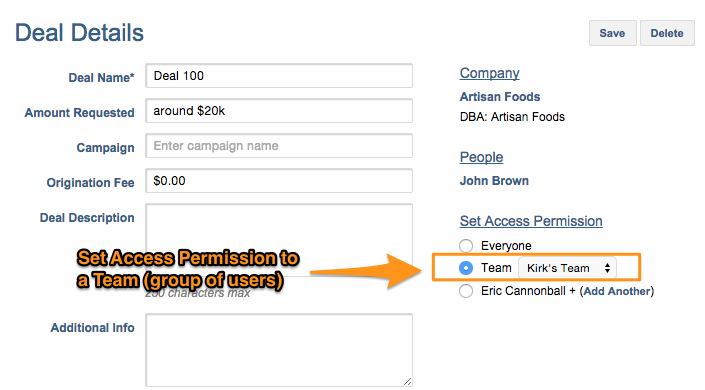 To remove users from a team, click the checkbox next to the user name and click on the "Remove Selected User" button. Once you have your team set up, you can go to the Contacts and Deals pages to assign contacts and/or deals to a team (group of users) rather than individual users.